OK, What does this thing do besides calculate furnace efficiency anyway? 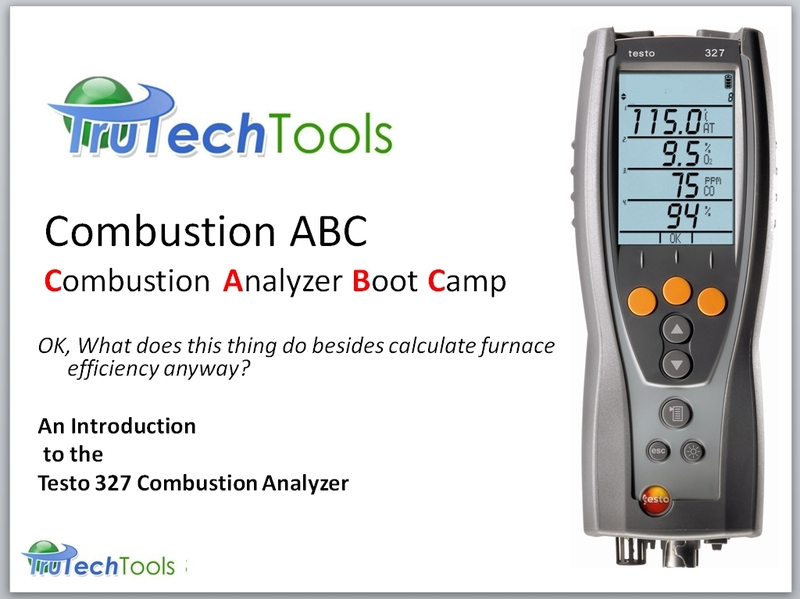 An Introduction specifically to the Testo 327 Combustion Analyzer. Learn to properly configure and set-up your testo 327 combustion analyzer. Combustion analyzers measure a lot more than just CO. Learn how to access and set up other measurements. You will learn how to use the analyzer to its full potential including differential temperature testing, setting fuel pressure, and measuring draft. Theory of combustion and standards of use are covered in COMBUSTION 101. Also included is how to care for combustion analyzers to maximize their life expectancy. Perfect for new users. Useful as a refresher for seasoned users.